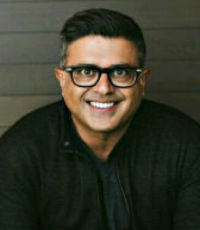 “I started my career at the age of 18 and was determined to succeed despite my youth, lack of experience and being a minority,” says Faisal Susiwala, who is the top performing broker in the Waterloo region and one of RE/MAX’s top 20 agents worldwide. One of the keys to his success has been adaptability. “This business is constantly evolving,” he says. “Don’t be set in your ways.” Susiwala is a proponent of social media and says Realtors should leverage marketing strategies that engage potential clients “in the way they want to see it”.